QB Enterprise - Inner Net Inc.
QuickBooks Enterprise is the most flexible QuickBooks product, designed for businesses who are managing more complexity, typically with multiple users or locations, inventory-intensive workflows, large list sizes or transactions, or sophisticated reporting requirements. It has the flexibility to meet your business’s unique needs for thousands less than other, more complex accounting systems. – More customizable reporting tools, including new Advanced Reporting, our most powerful reporting tool yet. 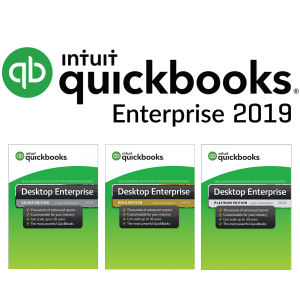 – The capacity to track hundreds of thousands of inventory items, customers and vendors, more than 6 times the capacity of other QuickBooks products. Consolidated reporting from multiple locations or company files. – Sophisticated inventory and pricing capabilities. – Benefits of the Full Service Plan, which gives you US-Based customer support, product upgrades, online backup, data recovery, access to Everything Enterprise & our member website and training tools. You may also qualify for preferred rates on QuickBooks Payments with your subscription.